DEAL ALERT! East Coast USA to Bangkok from $436! What a deal! Fly from New York, Washington or Chicago to Bangkok, Thailand for only $436 round-trip with Air Canada! High-tech industrial Taipei is home to various world-famous architectural or cultural landmarks: Taipei 101 towering above the city, National Palace Museum – home to the world’s largest collection of Chinese art, Confucius Temple and many, many more! CLICK HERE >> or just follow the link below and adjust travel dates. One cabin bag and one piece of checked baggage per passenger. We encourage you to stay at Majestic Grande Hotel with excellent reviews for $64/night. Find the best car rental prices on Rentalcars.com. Late Summer! 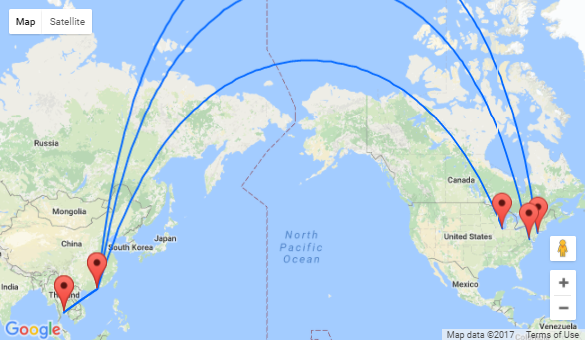 Cheap flights between Washington and Sacramento, California for just $119! AUGUST! 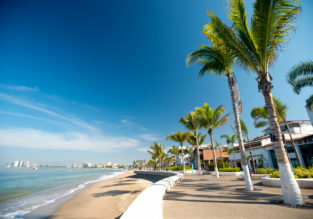 Cheap flights from Washington to Puerto Vallarta for just $231! Late August! Cheap non-stop flights from Washington to Orlando and vice versa for only $97! First minute! Cheap peak season flights from US East Coast to U.S. Virgin Islands from only $278! Non-stop flights from Los Angeles to San Jose del Cabo, Mexico for just $197!